If you are a tech blogger who writes about smartphones or reviews apps, then you already know how important screenshots can be. The ability to show your smartphone’s screen on a computer can help you explain an app’s function, showcase a UI maybe, show errors and faults and more.. There are quite a few programs and some really convoluted methods(involving the SDK) that lets us do this for Android smart phones. Ashot is one of the best programs i have used. Ashot (a.k.a. 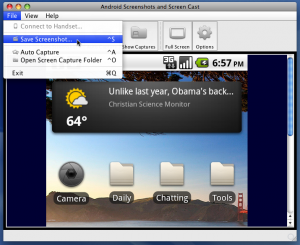 Android Screenshots and Screen Capture project) is a free and open-source program compatible with Windows OS’s dedicated for screen captures of Android devices without rooting your device. 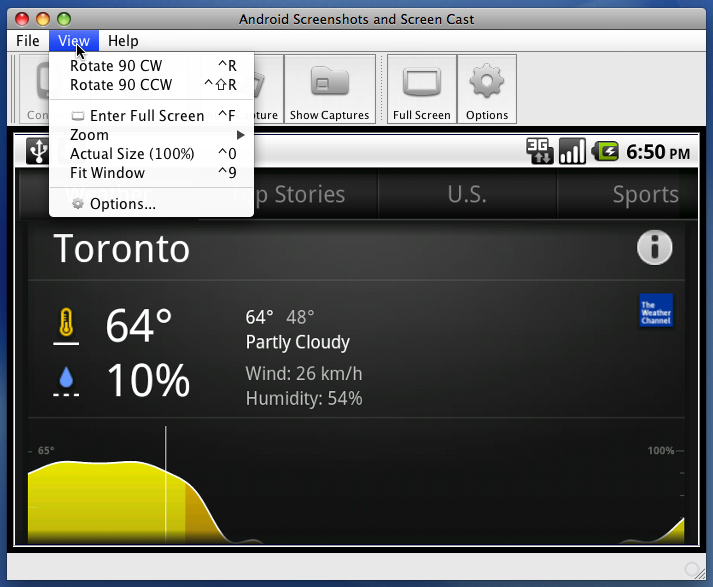 With the application installed, all you need to do is connect your Android device to your desktop or laptop via a USB connection. 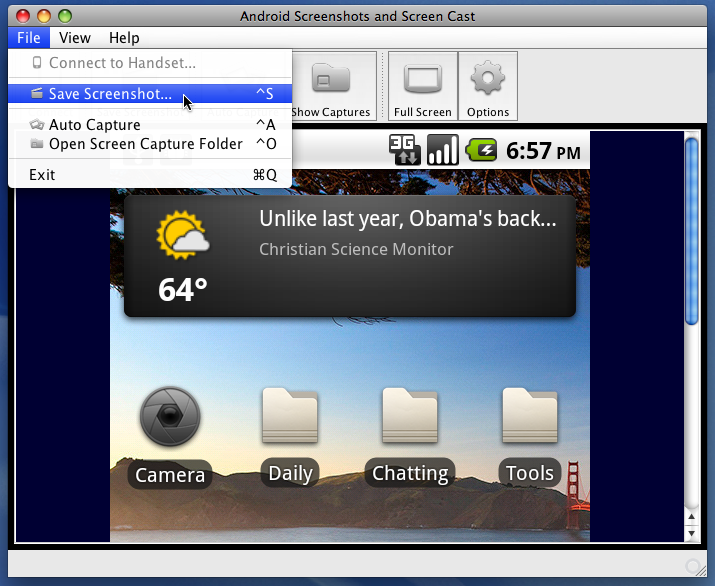 With this, you will now be able to view your Android phone’s screen on the desktop and can be used for full screen presentations, automatic screen capture, and screenshot transformations such as scaling and rotating. 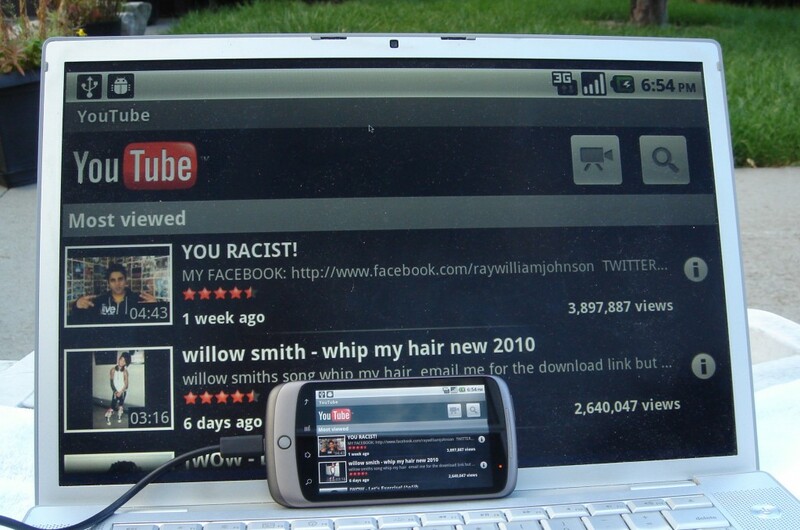 As soon as you get Ashot up and running on your desktop or laptop, it automatically connects with your Android device and starts showing exactly what you see on your mobile screen. Here’s a video that shows you how it works ..
…and shown in a full screen mode which is brilliant for demos and presentations. 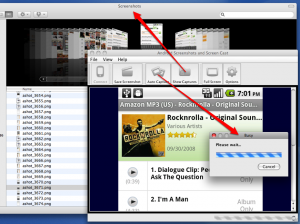 You can either save a single screenshot with a click of a button on the toolbar/ in the main menu …. … OR you may start automatic Screen Capture in specified folder. All screen changes of Android display will get saved to that folder. so its not possible to download ashot. can someone who does have the zip file post a link??? The Sourceforge link is up again.